Hello, book lovers! Welcome to a brand new week and a brand new sparkly book in the form of SHELL. This was such a highly anticipated book for me as a retelling of the famous Frankenstein by Mary Shelley. Thank you to Olivia at Scholastic for the amazing opportunity to read this! Disclosure: I was sent this book for review by the publisher. As always, my reviews are fair and unbiased. How far would you go to save the one you love? My Review... Shell panned out so different than I thought (in a quite brilliant and perfect way) and that was just the start of the incredible story that awaits. Lucy has been sick for a really long time with Cancer. She's giving up, nothing working anymore and feeling truly tired and sick. She misses the life that she used to have when she was well, and stuck in a hospital bed feels like the last place she will ever see. But then, she has a bad moment in hospital and thinks she's died. Surely she has. But then she wakes up, being asked tons of curious questions and feeling different. Then she's told her cancer is gone. First, she thinks it's some kind of miracle. But then she sees the reflection of someone. . .and it's her. But it's not Lucy's face that she sees staring back at her. She sees someone else - and she is stuck in their body. Forced to pretend to be Renee and say goodbye to Lucy forever to avoid questions from the risky and illegal procedure, Lucy is only herself in secret with her Parents. She can't tell her best friend, or Grandmother, despite being shunned by them as her new self. School is different as someone else now, newly taken in by the popular girls that wanted nothing to do with her when she was Lucy, and thrown into a life quite different from her own. But she can't let go of the fact that she doesn't know whose body she is in, or the strangeness that surrounds her because of it. When darker things start to unravel, Lucy is forced to question what she would do to survive. So. Many. Wow. Moments. This book! I can't get over just how complex, smart and truly gripping Shell was. Paula's writing is truthful and Lucy's voice is wise and so real. This whole story is ethereal and ingenious. It had so many twists that I didn't see coming at all, and I'm usually so good at seeing the plot twist before it happens. I can't give this book enough love. 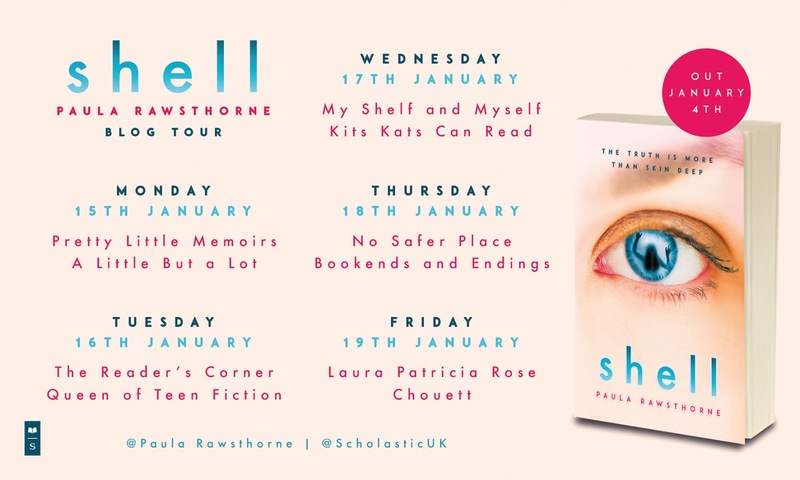 I hardly reread books when I have such a tight reviewing schedule and that should show you just how amazing I thought Shell was. Huge five stars! Paula Rawsthorne is the award-winning author of Blood Tracks and The Truth about Celia Frost. She first found success when she won the BBC National ‘Get Writing’ competition with her prize-winning story read on Radio 4. 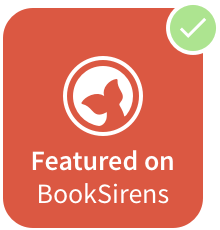 She has also been a winner of SCBWI’s ‘Undiscovered Voices. She is passionate about enthusing teenagers to get reading and is a writer in residence in a secondary school for the national literacy charity ‘First Story’. 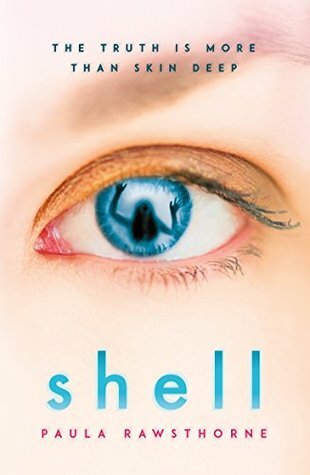 SHELL is her third novel for young adults. You can buy SHELL here. For my Blog Tour date, I really wanted to create a SHELL themed playlist! I love making them (as many of my readers will know!) and this was no exception. I made it on Spotify, so if you're interested in listening to any of these while reading your copy of Shell, the link is below! Playlist breakdown: Rescue My Heart is the song I had playing in my head throughout Shell so I had to add it in there. Farewell is definitely the song for Lucy and her best friend Makayla. Heartbeats has the lyrics that instantly made me think of Lucy when she first woke up and realized who she was now. Killing Me To Love You is all about Lucy trying to prove that she is comfortable being Renee and loving her new body despite having issues with it. Only You gets me every time and it fits so many of the scenes throughout Shell. Is There Somewhere is melodic and fitted those kind of moments when Lucy was lost. Monsters is another one of those songs I had in my head - it's like Lucy felt she was a monster. Strong is like Lucy's song. She felt caught in the middle of being alive, but not wanting to live as someone else. Angels is the song I knew would fit during the first few chapters of Shell and you'll know why when you read those beginning parts. Empty is how Lucy felt as Renee, through and through, along with I Can't Breathe. Finally, In My Dreams is the kind of song that melts into the moments when Lucy was having dreams/nightmares about her new body (although it doesn't quite fit). Let me know on Twitter, Facebook or in the Comments! Don't forget to stop by the Blog Tour stops for SHELL!